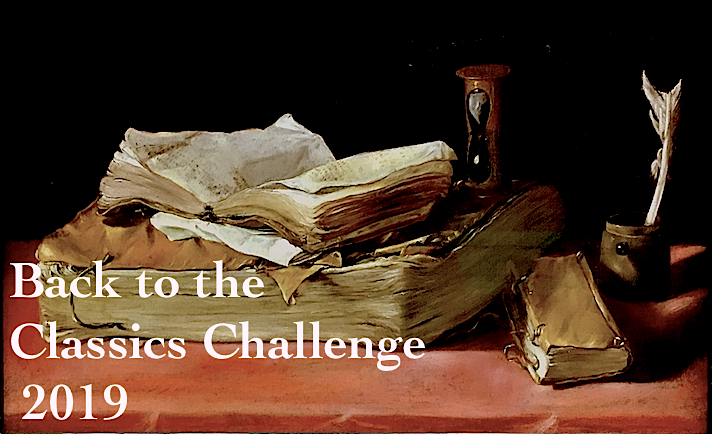 I have not participated in this particular meme (hosted by Books Are My Favorite And Best) before, but I was inspired by all the great posts I've been seeing the past week! I've decided to play along. This month it's Ian McEwan's Atonement, which ticks off a lot of boxes for me: WWII, English country houses, class struggles, etc. I do love books set in English country houses. 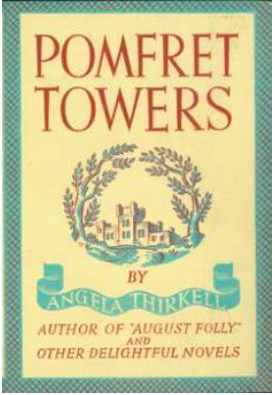 A recent favorite set between the wars is Pomfret Towers by Angela Thikell, though of course it's much more lighthearted than Atonement. Angela Thirkell's novels are set in fictional Barsetshire county, originally created by my beloved Anthony Trollope. One of his popular Pallisers series is The Prime Minister, in which the social climbing Lady Glencora Palliser hosts some house parties at her husband's country estate, Gatherum Castle. One of Anthony Trollope's Victorian contemporaries was Charles Dickens, probably the most popular Victorian author of all time. 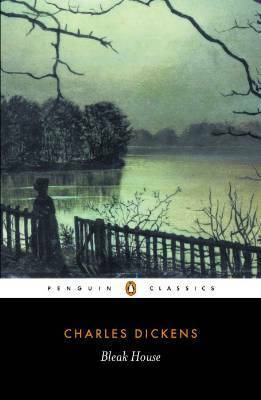 Bleak House is considered his masterpiece and is one of my particular favorites. And it has at least two country houses, the titular Bleak House and the home of Lady Dedlock, Chesney Wold. Reading Dickens and Trollope made me fall in love with the Victorian era (though I'd never want to have lived back then!). There are a lot of wonderful modern novels set in the Victorian era. 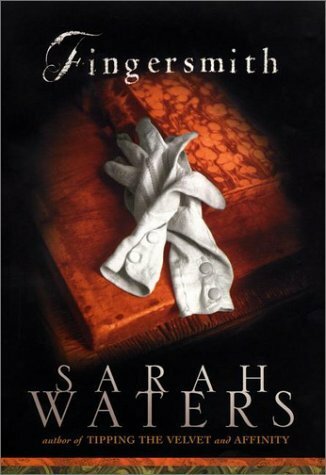 Fingersmith by Sarah Waters is one of the finest and is probably my favorite neo-Victorian novel. 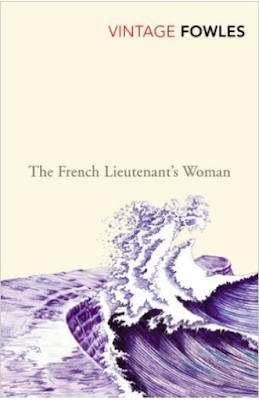 Another very popular neo-Victorian novel is The French Lieutenant's Woman by John Fowles. 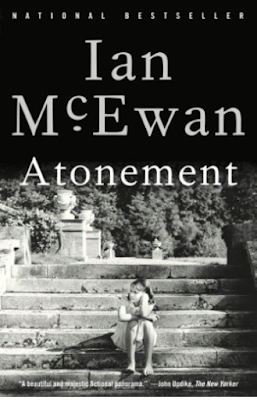 It's a metafiction novel set in Lyme Regis about a love triangle. It was famously adapted into a movie starring Meryl Streep and Jeremy Irons. And a book set in Lyme Regis naturally leads me back to Jane Austen's Persuasion, one of my absolute favorites. There is a key plot point in which several of the characters take a stroll at the famous Cobb along the waterfront, with disastrous results. 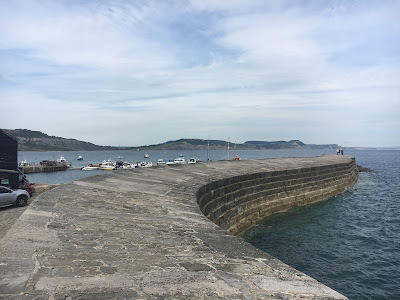 I was lucky enough to visit England in June and made a detour all the way down to the coast, just so I could walk along the Cobb (much to the chagrin of my mother!) I took lots of photos and just realized that it's also time for Austen in August so I need to write another post about my trip! Thanks again to Books Are My Favorite and Best for hosting this meme! It was really fun and I'll definitely be participating again. A great first chain, Karen! I have The French Lieutenant's Woman in my chain too, as you know, and almost linked it to Persuasion until I thought of another book set in Lyme Regis. I love Anthony Trollope and am hoping to start Angela Thirkell's Barsetshire series soon. Thanks! I was also thinking about linking Remarkable Creatures which I also enjoyed. And I've read five of Thirkell's Barsetshire series so far and am really enjoying them. Not exactly like Trollope but fun comfort reads nonetheless. 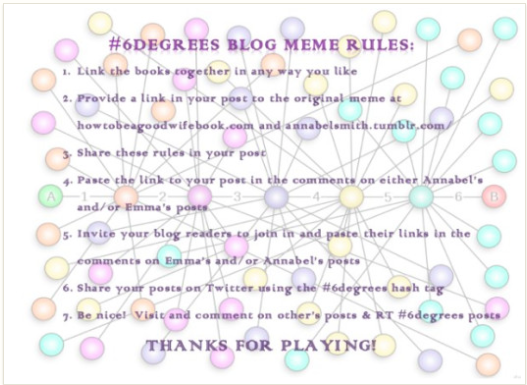 Your chain was such fun to read! 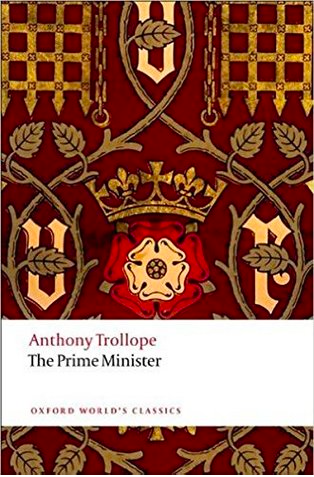 I'm planning to read The Prime Minister next month (still hoping to finish the Palliser series this year) and loved Bleak House, Fingersmith, and Persuasion. One of these days I'll get to The French Lieutenant's Woman. I also joined in for the first time this month! I love your links - and have read and enjoyed all the authors here, if not all the books. Thanks! I think I was inspired to include The French Lieutenant's Woman after your podcast on Tea or Books? 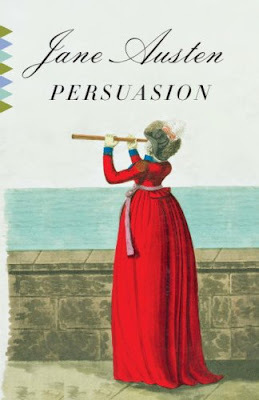 I've just started an Annotated Persuasion for Austen in August. This is an excellent chain, Karen! Any list that includes Thirkell, Austen, and Sarah Waters is going to be a favorite of mine. I'm glad you enjoyed Pomfret Towers too and I especially love the Lyme Regis links. I enjoy this meme, but have never done it myself. You hit on quite a few favorite authors in this round. I just reread Persuasion for the upteenth time--it is always a pleasure to read. Visiting Lyme Regis and the Cobb, of course, is on my wish list for the not-to-distant future. Loved your photo--could particularly feel the salt spray and hear the gulls.